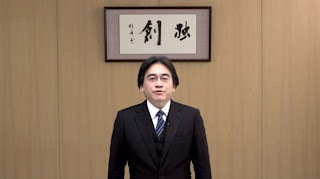 Nintendo President Satoru Iwata discussed the new Nintendo Wii U and the underlying philosophy of the platform. The system is clearly a derivative of the original Nintendo Wii with more graphics horsepower but the key upgrade is the Wii U Gamepad. 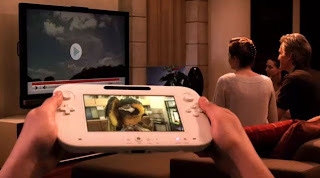 The Wii U Gamepad is a large controller with traditional videogame controls, a tablet-like touchscreen and the ability for the controller's screen and gaming console hooked up to the TV to interact with each other. The Wii U Gamepad has been modified a bit since we saw a prototype at E3 last year. 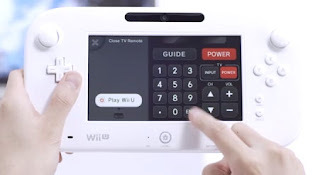 Gone are the circular controllers for more traditional gaming stalks. 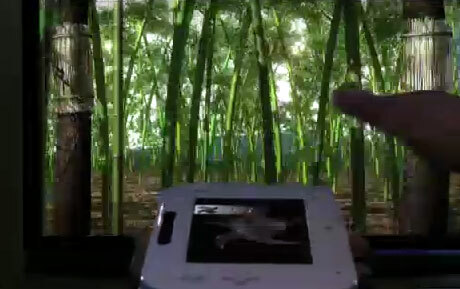 The system also features a better grip shaping on the back and a Near-Field Communications reader and writer. Nintendo expects that this controller can take the place of your traditional TV remote. 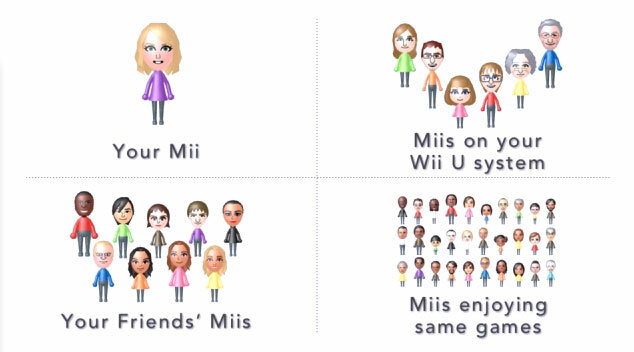 I am a bit dubious with this but will hold judgement until I can get more time with it in this configuration. 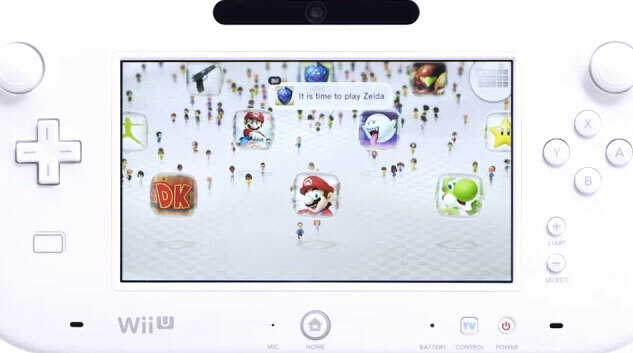 They did reference the fact that their would be some niceties such as the ability to scroll your channel guide on the gamepad screen. 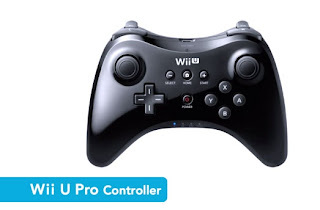 First and foremost, the controller is your game controller. And leverages the concept of a "second screen" interacting with your TV or other traditional Wiimotes. Examples quickly shown included the ability to aim your pitch or catch a ball in your glove via the gamepad screen. 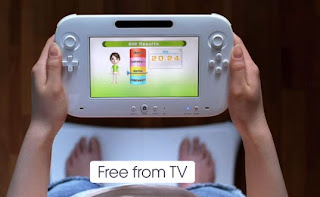 Other examples included laying the gamepad on the ground where it would show your golfball on its screen and you could swing a regular Wiimote like current Wii games. 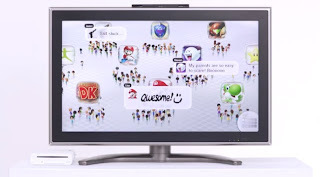 Another game seen above allowed you to flick throwing stars from the gamepad to the tv screen. 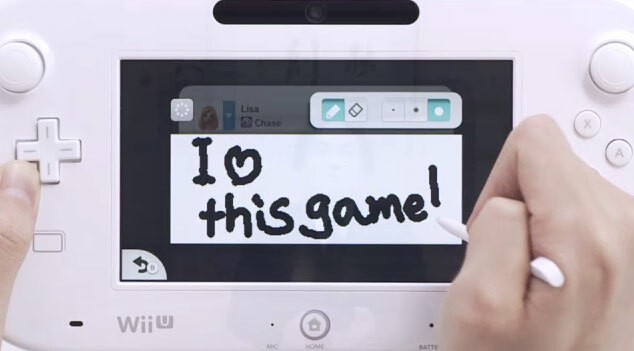 The Wii U Gamepad is an independent device. 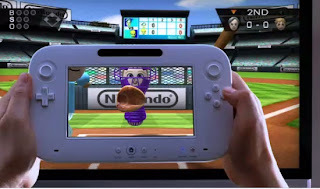 You can play games on its screen without the TV. 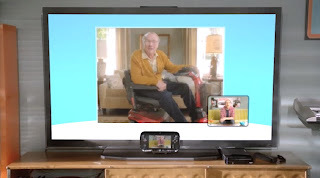 And content on the gamepad can be shared on your TV similar to Apple's Airplay service. 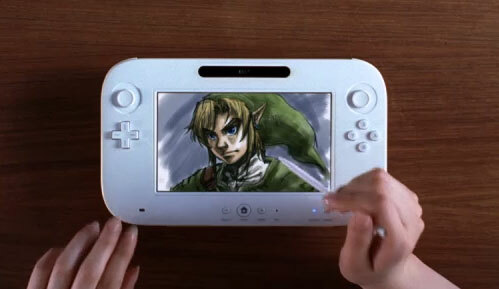 Nintendo will also be offering a more traditional gaming controller, not unlike the Microsoft Xbox 360 controller. Nintendo says this controller is designed for extended play sessions. 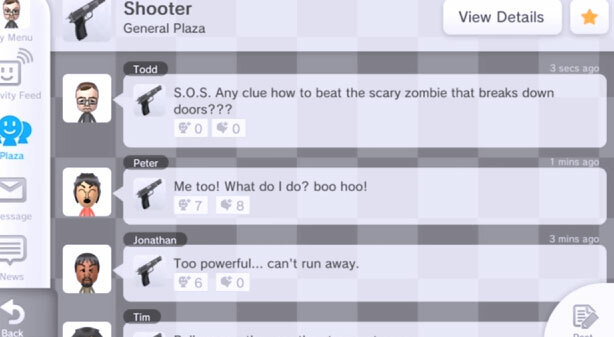 The area that Nintendo is very focused on is building a gaming social network. 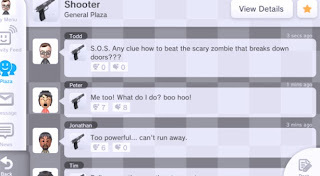 Clearly this service has all the usual messaging and postings. When you log into the gaming system. 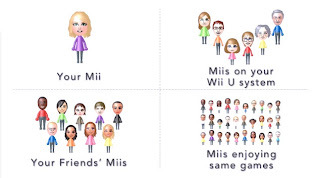 You will find your Mii, other people on this system, your friends and other people playing the same game. 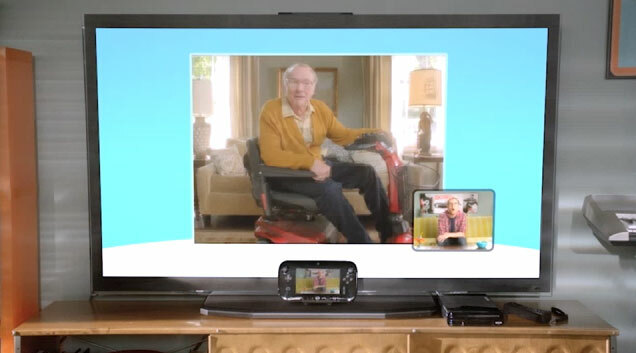 There is even the ability to leverage the gamepad's front facing camera to start a video conference with something. You can keep in contact with everyone via the gamepad, so others can use the TV. 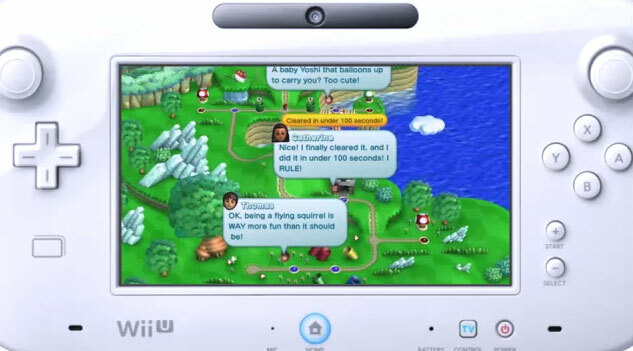 Messages and chat can be via regular keyboard text or using the drawing metaphors Nintendo has leverage on their past Gameboy DS offerings. 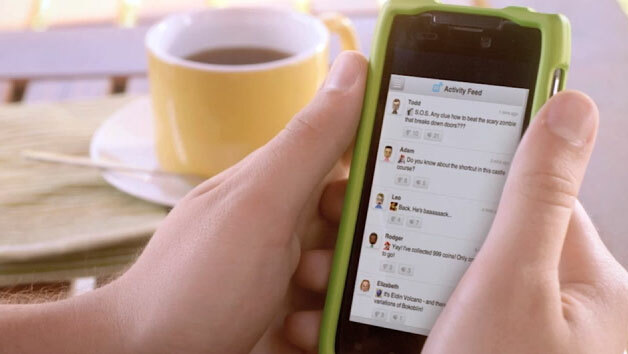 Developers can deeply integrate the social network into the game for real-time updates. 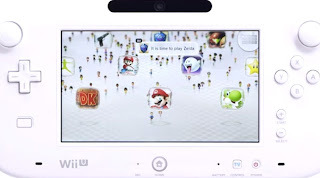 You can browse the web on the gamepad. 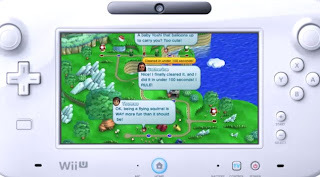 While not available at launch, Nintendo says that they see their social network extending to regular messaging channels such as your smart device. 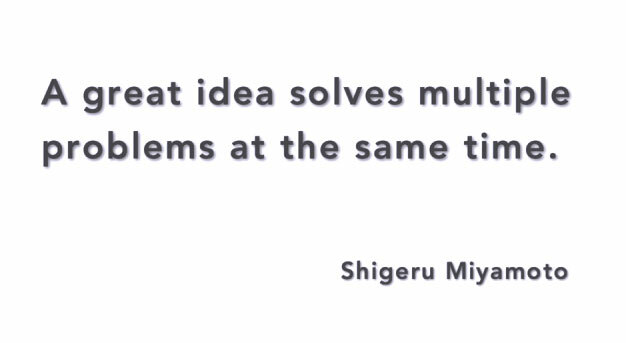 And what Nintendo press conference wouldn't be complete without a quote from their famous game designer, Shigeru Miyamoto (creator of Mario and Zelda to name a few). If you were wondering what the Japanese text above his head was...it roughly translates to "Creating Something Unique". And I will give Nintendo credit for making a device that really could capture someones imagination about what would be possible with a dedicated second screen. 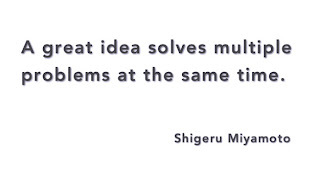 And as long as the system has enough juice to drive all the potential, this would be an exciting new platform for gaming. 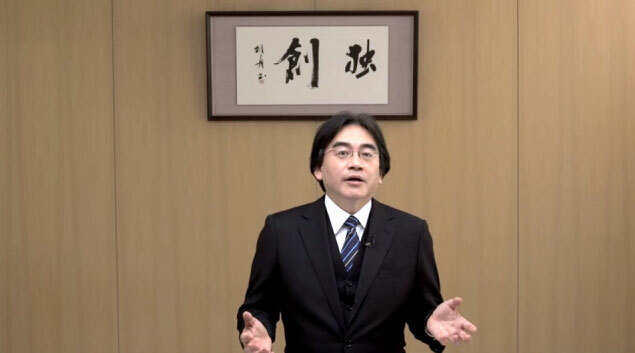 I will endeavor to push through the most relavent and exciting new product information coming out of the Electronic Entertainment Expo (E3) this week in Los Angeles.